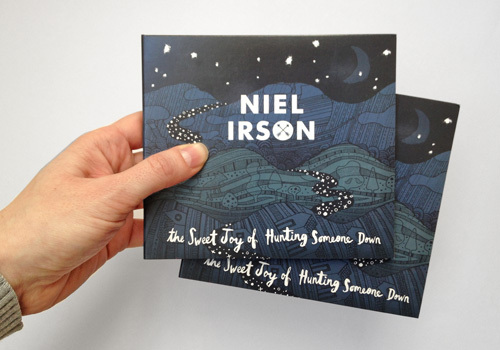 Recently I had the pleasure of working with Danish singer-songwriter Niel Irson on artwork and schwag for his debut album, “The Sweet Joy of Hunting Someone Down”. 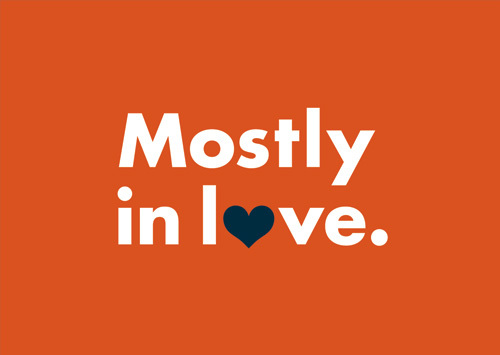 While the title of the album might feel like a spurned revenge, deep down he’s a softie which is evident in one of my favorite songs from the album, the sweet duet “Mostly in Love”. A simple logotype was needed to apply to all manner of materials large and small, so functional Futura was chosen with slight alterations. Another benefit of Futura, commonly available, is that the artist could create branded materials on the fly. 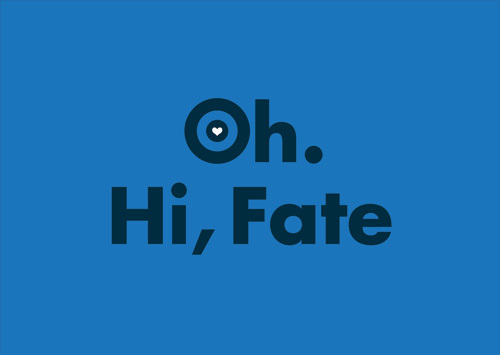 The counter in the O was knocked out to allow for a smidgeon of graphic flair in the form of a two arrows at a crossroad. Niel provided some key words to guide the design: journey, the road, hunt, adventurer, and romantic. After some brainstorming together we decided to create a nighttime landscape full of experiences guided by the stars. Orion, the original Love Hunter, was subtly featured in a splotchy skyscape. To get the most out of creating name recognition, the logotype was placed front and center on the cover artwork so that even on small uses such as Facebook the name is reinforced visually. 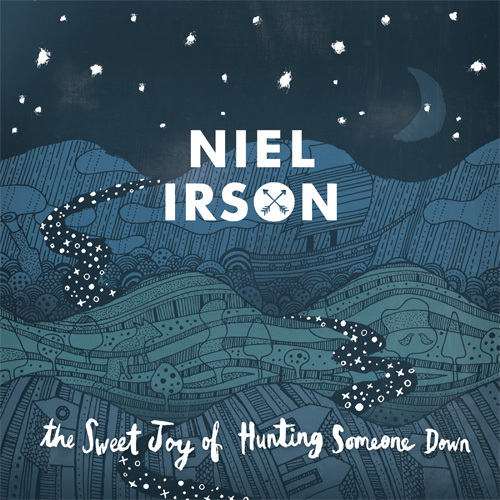 Cover artwork for "The Sweet Joy of Hunting Someone Down". 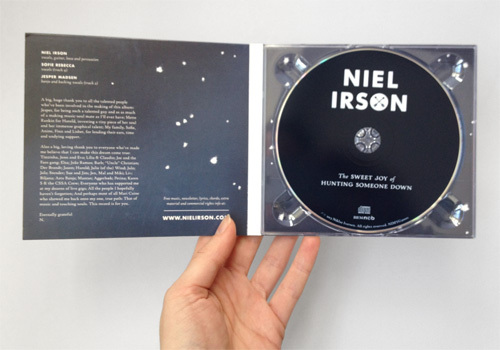 Niel Irson debut album cd cover. Inside the CD cover...an actual CD. Irson is a man of grand gestures, he doesn’t do things in a small way, and the more I got to know him the more this was apparent in both his music and life choices. A few years ago he quit his job to move to Portugal, spend some time writing and playing, falling in love, and finding out about things the way you do when you’re in a new pool. A year later he headed home, richer a plethora of recordings that he became determined to release as an album. After working at a day job as a programmer for a stint, he took the leap and became a music man full time, including a move to the UK to promote himself in a climate suited for the singer-songwriter. Kudos to anyone who has the guts to know they are meant to do something, and then follow through on that responsibility. To help spread the word, we bit off the very tip of the merchandising iceberg by making a series of pins and postcards. There’s more to come, that’s for sure! 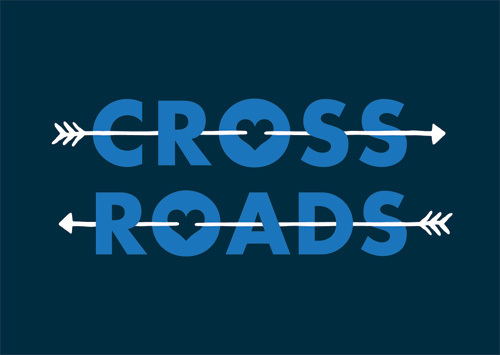 Crossroads, love hunter, blue heart, logotype, ironic title #1, ironic title #2, triple bullseye. Niel is a throwback to the time of chivalry and love at first sight, a valiant modern gentleman. I wish him the best on his new adventures in moving to London to pursue his dream as a singer-songwriter – if putting your heart on the line gets you anywhere, this man will go far. I know a girl named Mette with the same kind of courage.